It achieved a hammer total of £50,240 (plus buyer’s premium of 20%) for the group. 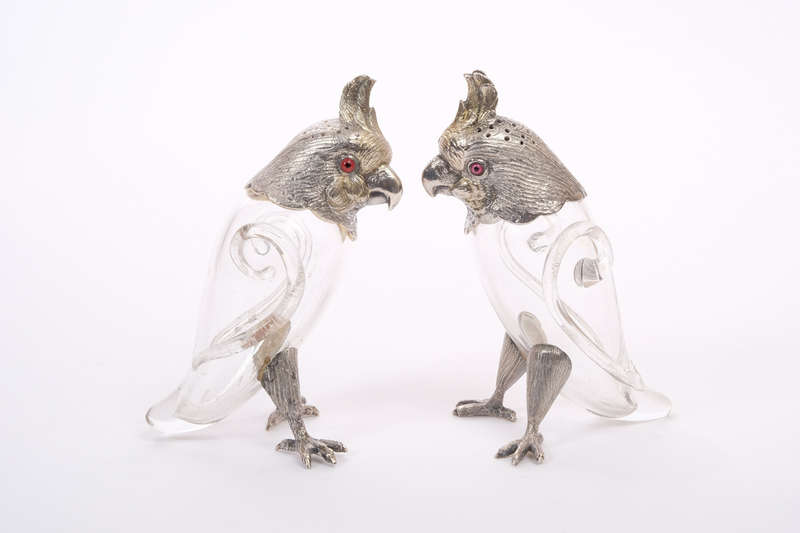 Consigned by the family of a late collector who amassed the objects over a period of 40 years starting in the 1970s, the 12 lots were hotly contested on thesaleroom.com, on the phone and in the room. 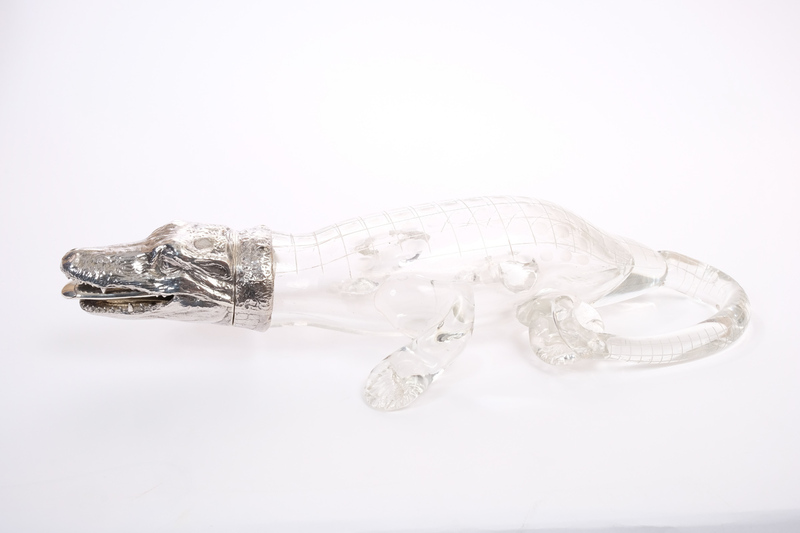 Reeman Dansie decided to split the group of objects by Alexander Crichton, Sampson Mordan & Co and Richard Hood & Son to avoid flooding the market, auctioning 12 lots on November 20 at its Royalty, Fine Art and Antiques sale, with 12 more to come in February next year. 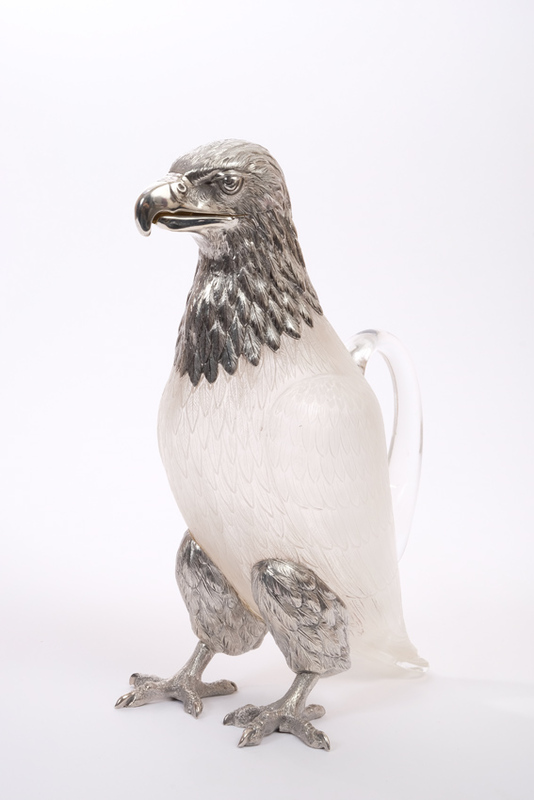 Nine of the 12 claret jugs, pepperette and scent bottle lots were created by Scottish silversmith Crichton. 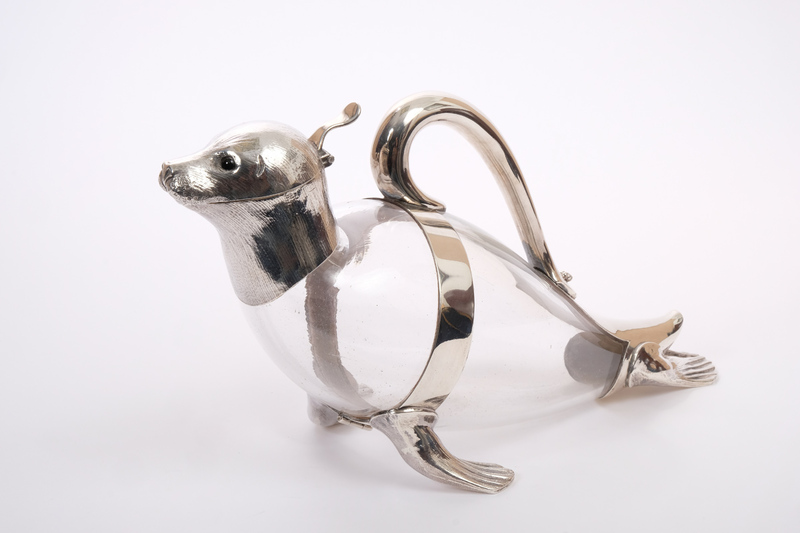 Best known as the creator of whimsical silver objects to satisfy Victorian taste for the quirky, Crichton’s stand-out work is a series of naturalistic animal-shaped silver and glass claret jugs whose designs were patented. 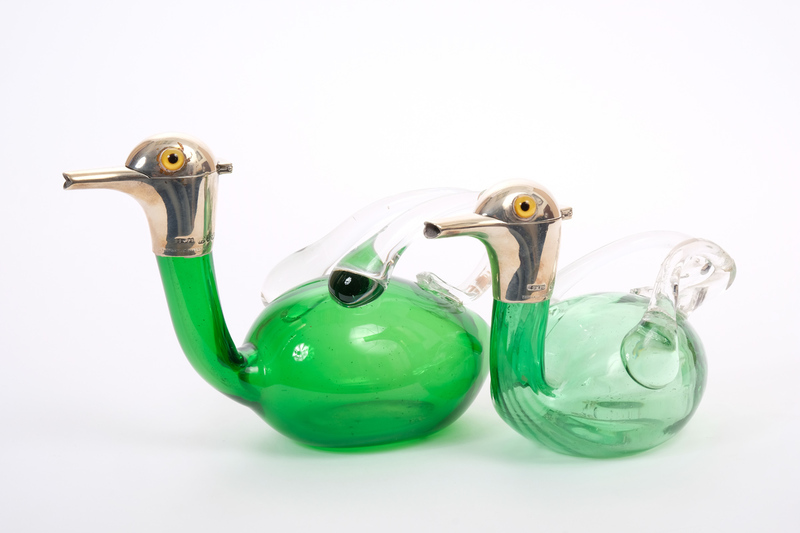 Jugs in the shape of more than 34 different animals, including walruses, squirrels, fish, dodos and crocodiles, were created by Crichton’s workshop between 1881-82. 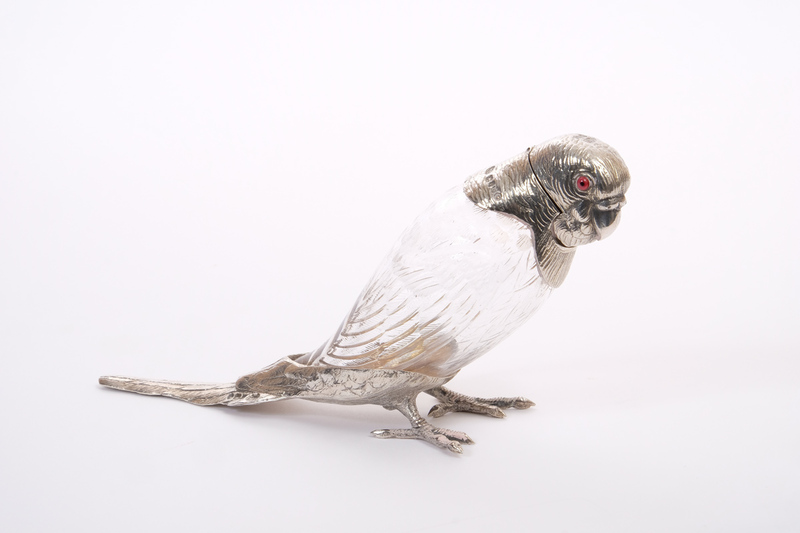 A silver mounted whisky tot in the form of a cockatoo, designed by Crichton in 1881, that surpassed its top estimate of £1000 at Reeman Dansie, selling at £1700. 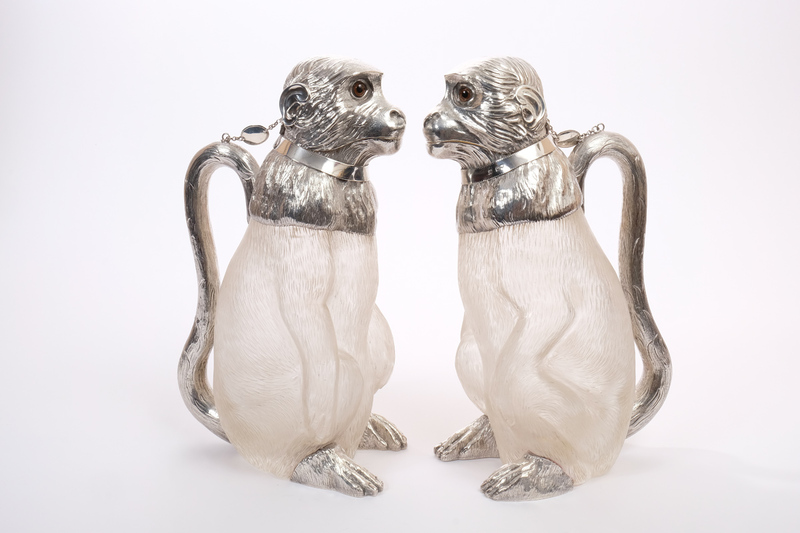 However, the best-selling lot from the collection sold by Reeman Dansie was not by Crichton but a pair of Edwardian silver and engraved glass monkey claret jugs by Richard Hood & Son, estimated at £7000-9000, hammered down at £15,000 to an online buyer. 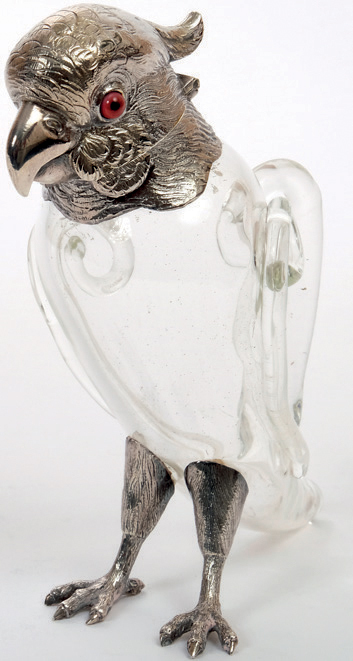 This was despite the monkeys being a matched pair made two years apart – in London in 1904 and 1909 – and one monkey having a replacement glass body. 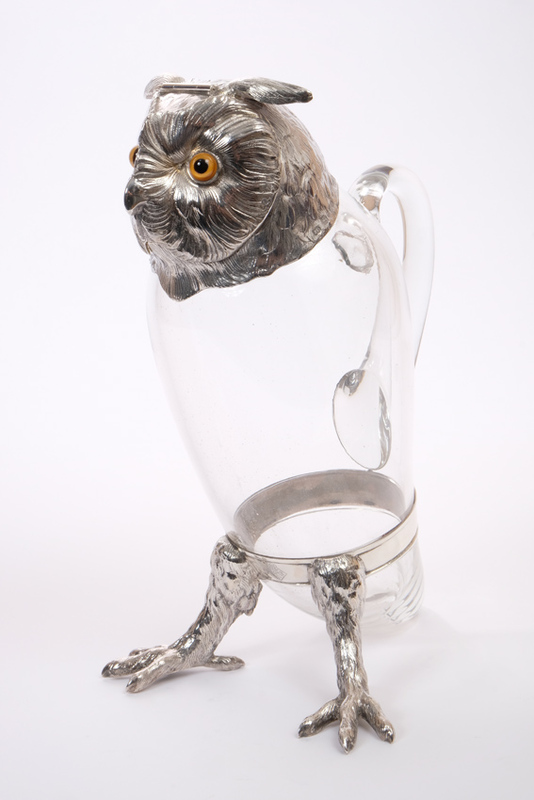 Jonathan Benson, associate director of Reeman Dansie, believes the price reflected the scarcity of monkey claret jugs. 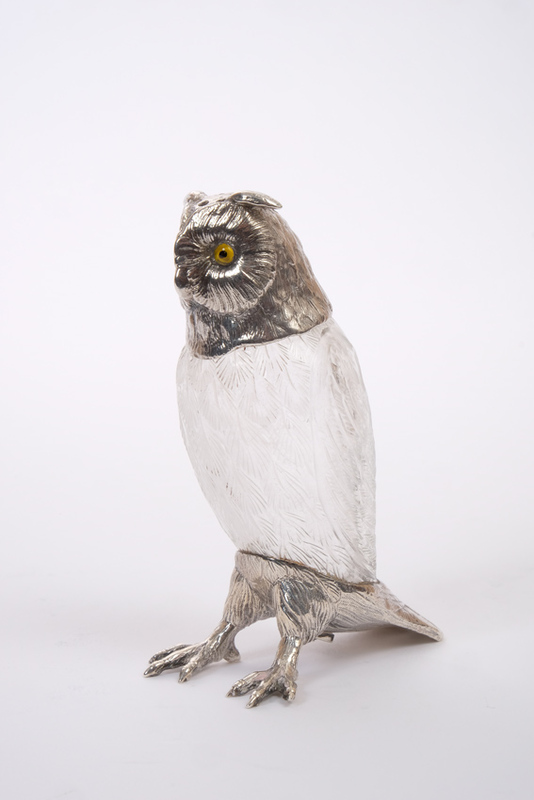 Though made to be used by late Victorians, Benson added that objects in this group "were never really used – they were bought by our client to collect". Growing prosperity and expanding trade and travel horizons encouraged Victorian taste for opulent objects, especially the exotic and quirky variety. This demand stretched to silver dinner and dressing table ‘toys’, a desire satisfied by silversmiths of the time. So distinctive are the animals by Crichton, Mordan and others that they attract avid collectors, including the late HM Queen Mother. 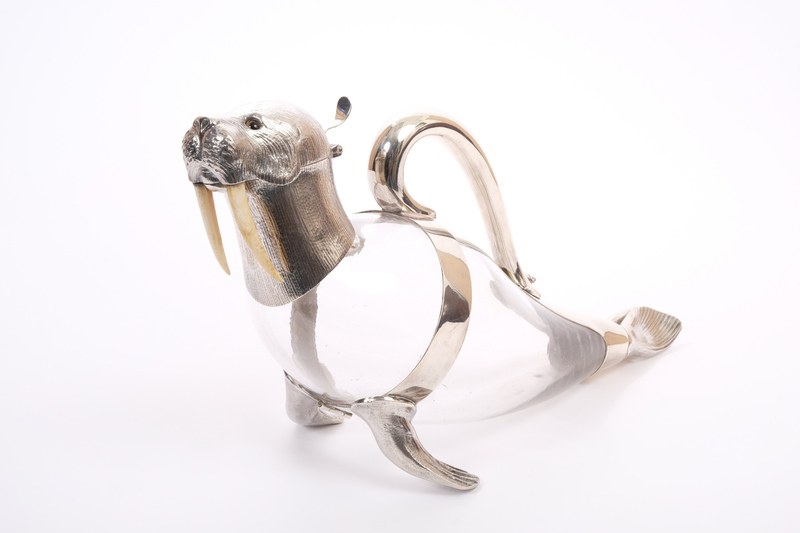 The objects are highly sought after, and earlier this month Sotheby’s sold two, including a crackle-glass Walrus claret jug (maker's mark of Samson Mordan & Co overstriking Alexander Crichton, London 1883) sold at £15,000. Also in the Reeman Dansie two-day sale, Victorian paintings owned by the same collector and some provenanced to Richard Green, did well. An oil on canvas depicting farmyard animals by Edgar Hunt (1876-1953), estimated at £3000-5000, made £12,000, while a Louis Bosworth Hurt (1856-1929) oil on canvas of cows drinking at a river, made £12,000.